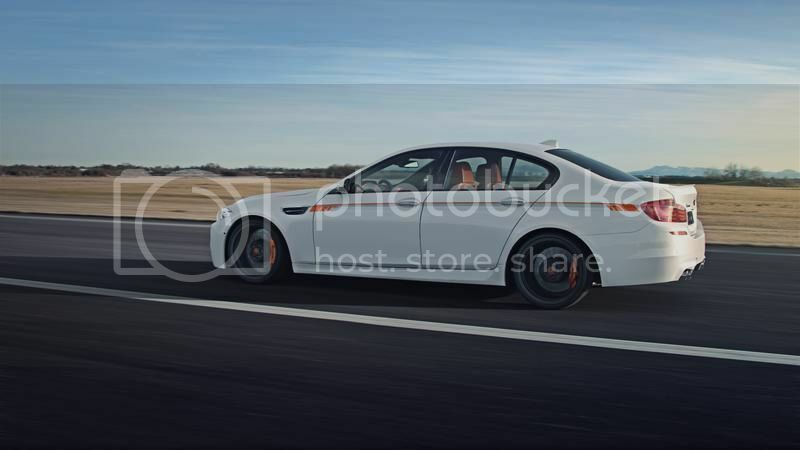 The all new BMW M5 is already fast when it comes from the factory. Now G-Power makes it even faster. The G-POWER Bi-Tronik III pushes the factory 560 hp/ 680 Nm to 640 hp/ 777 Nm. 21 inch G-POWER “SILVERSTONE RS” and “SILVERSTONE CLUBSPORT” alloy wheels with MICHELIN Pilot Super Sport tires in the dimension 265/30 ZR 21 and 305/25 ZR 21, G-POWER coil-over suspension, stainless steel sport rear muffler featuring the legendary G-POWER “DEEPTONE” technology and the G-POWER Ceramic Braking System complete the G-POWER package for the BMW M5 F10. The G-POWER program for the BMW M5 F10 touches all key components and lets the nifty BMW M5 appear even more sporty and beautiful and makes it, last but not least, a lot faster. 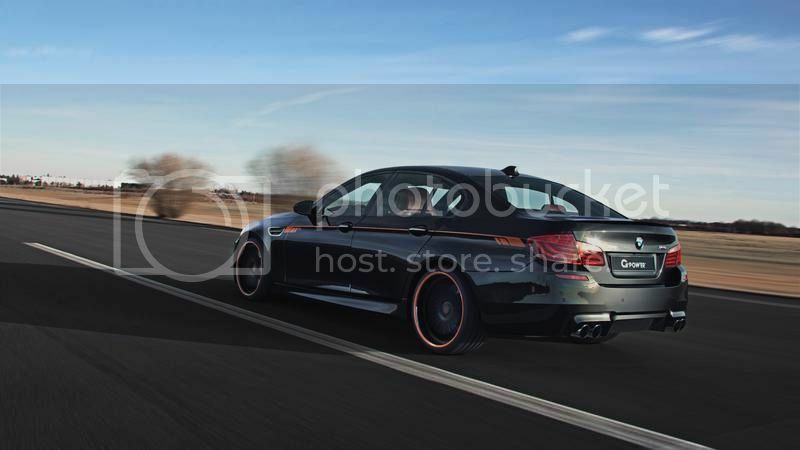 In order to implement this target the G-POWER engineering department has transferred its experience from the area of supercharging to the turbocharged BMW 4.4l V8 engine. After all, the ASA supercharger used for the G-POWER supercharger systems is closely related to the turbochargers featured by BMW, since both units us a centrifugal compressor to build up boost. The basis for the electronic output increase is the fact that G-POWER, in contrast to the manufacturer, does not use standard software full of compromises but an individual solution for the engine. Among others, the parameters for the amount of fuel and the ignition timing are modified depending on the product variance of the engine. Furthermore the boost level is moderately increased, as well. However, gone are the days in which the development of an electronic power output increase has been finished at this point. G-POWER has made almost the same invest in time, money and manpower in developing supporting measures to the power output increase itself, with a particular focus on the transmission. Based on the competence and knowledge coming from the up to 800 hp strong BMW M5 HURRICANE versions, G-POWER has managed to limit the torque figures during the shifting process and so reduces the stress for the transmission. This effort shows the difference in quality of the G-POWER electronic power output increase when compared to the competition. Just pushing the output fingers is something many can do; G-POWER is providing a well balanced, high-quality package for the power output increase of the BMW M5. In a first step the G-POWER Bi-Tronik III pushes the BMW M5’s standard output of 560 hp / 680 Nm to a more suitable 640 hp and 777 Nm of torque. Naturally the performance figures benefit from this output increase, as well. The figure from stand still to 100 km/h is now just 3,9 seconds and the top speed is 315 km/h. 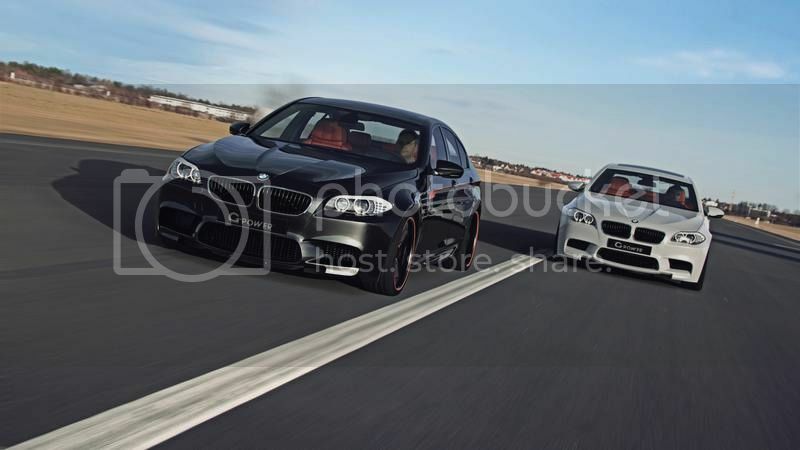 Apart from the power output increase itself, G-POWER has taken care of the sound of the BMW M5 F10, as well. The full stainless steel G-POWER 4-trim sport rear muffler with its 4 x 100 mm tailpipes gives the BMW M5 a deep, throaty sound that turns heads but is at now time annoying, thanks to the patented G-POWER “DEEPTONE” technology. Concerning the suspension at first one will notice the 21 inch G-POWER SILVERSTONE RS and SILVERSTONE CLUBSPORT forged wheels, wrapped with tyres from the G-POWER’s technology partner MICHELIN in the dimensions 265/30 ZR 21 and 305/25 ZR 21. The double spokes, typical for the G-POWER design, highlight the elegant design of the new BMW M5. An additional feature of the G-POWER SILVERSTONE CLUBSPORT wheel is its weight-optimized design that enables a low rim weight with the same stability, compared to the G-POWER SILVERSTONE RS wheel. More comfort and a considerably increased agility accompany the minimization of the un-sprung mass, which reduces the rotatory moments of inertia many times over and leads to an improved acceleration and increased cornering speeds. Further improvement of the road handling is realized through the continuously height-adjustable G-POWER coil-over suspension GM5-RS with nine selectable settings each for bound and rebound. Of course the negative acceleration is in the focus of G-POWER, as well. Even without output increase, the standard braking system may lose brake force when pushed to the limit, accompanied by a moving braking point, the so called fading effect. The perfect cure against the fading effect is a G-POWER Braking System. With its up to six brake pistons and up to 396 mm brake disc diameter, the G-POWER Braking System enables a substantially higher brake force than the standard braking system. At the same time, the heat generated due to the braking process can be dissipated more effectively. The G-POWER brake package is completed by brake pads with a larger pad area, higher friction rate as well as metal-coated brake lines. With this set-up, the G-POWER Braking System always provides maximum brake force and the braking point remains precise in any case. In addition the G-POWER ceramic braking system reduces the un-sprung mass by 50% percent, compared to a system with steel brake discs. Accordingly the cornering and road handling is improved significantly. Prepared like this, the G-POWER M5 F10 steps into the footsteps of the legendary G-POWER M5 HURRICANE RR that featured in its final edition a 800 hp strong supercharged V10 and with a top speed of 372 km/h is the fastest sedan in the world. 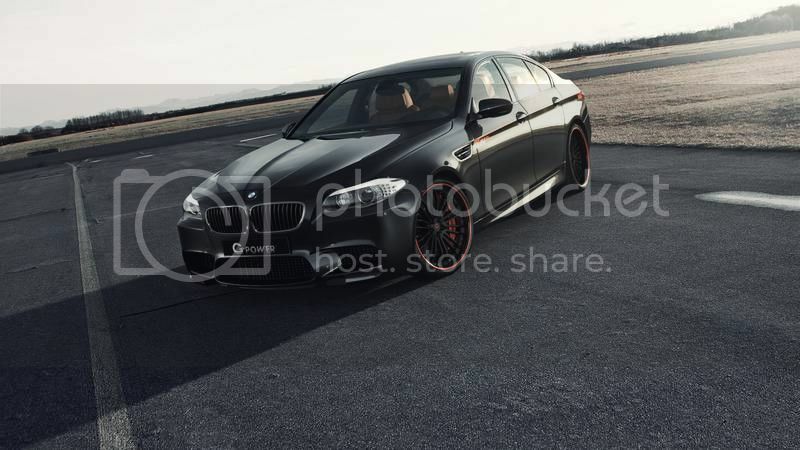 And of course the 640 hp set up for the new BMW M5 F10 is just the beginning, since at G-POWER they development of the M5 HURRICANE II is going on at full force.